A teacher should be aware of any problems taking place on school grounds, including bullying. 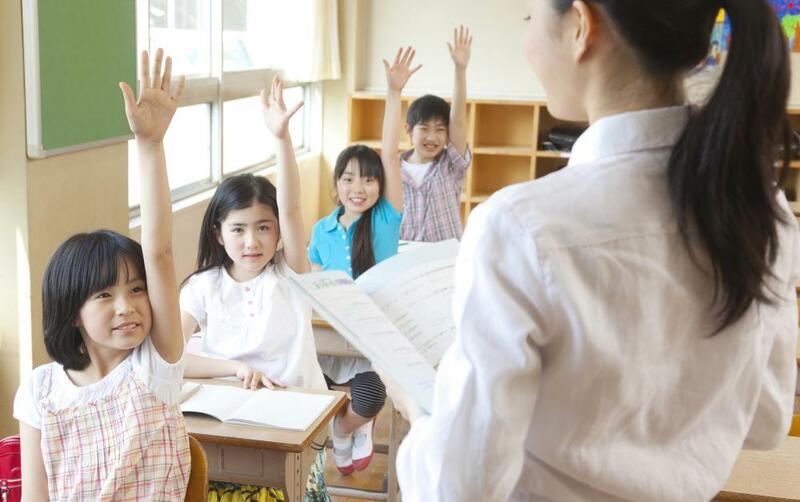 Encouraging group learning is helpful in a classroom setting. It is important for a teacher to develop a relationship with students to prevent negative attention seekers. Anyone who has spent time teaching in a classroom will probably have some horror stories about student management. It can be difficult to keep the peace in a classroom, especially in larger classrooms with several students, but by creating structure for the students and outlining expectations, the teacher can provide a safe and comfortable classroom environment that encourages easier student management. The teacher should start by clearly defining what is expected of both the students and the teacher, and basing student performance on rewards rather than punitive actions. It will be necessary to discipline students at some point, but the teacher must remember there is a right way and a wrong way to do it. Basing student management techniques on a reward system rather than a punitive system gives the students reasons to work harder. A student is more likely to try to achieve a goal than he or she is to try to avoid punishment. The teacher must recognize successes in the classroom, regardless of how large or small they are, and he or she must also develop a relationship with each student, even if it merely includes a brief hello at the beginning of class. Students need to know the teacher sees them, recognizes them, and is paying attention to them. They will be less likely to seek negative attention if they know the teacher sees them and cares about their behavior. A common mistake teachers make when they try to take control of student management is to berate a troubled student in front of other students. This will only worsen the situation. Whenever possible, isolate the problem student from other students. Never yell or berate a student in front of his or her peers, as this can encourage further bad behavior, and it can cause the teacher to lose respect among the students. Speak to a problem student one on one whenever possible to remove him or her from the situation and to eliminate the dramatic show from the equation. Part of student management includes recognizing when there is an emotional or physical issue with a student. A teacher must be aware of any problems taking place in the classroom, including bullying. A student may be experiencing emotional distress as well — this is extremely common in secondary schools — and the teacher should never draw attention to such distress while in the presence of other students. The teacher should try to speak to a distressed student one on one to avoid embarrassing them or otherwise alienating them from peers. What Are the Best Tips for Managing Classroom Behavior?